Tips for Creating Standout Trade Show Displays. 8 Creative Trade Show Swag Ideas. A pop up banner can be called many things like roll up banners and pull up stands; and these have a big impact on your business if you manage to use it effectively. These are a great way to give your customers a brief insight into the product or service that your business has to offer. Right from advertising products and services at a trade show or a conference to marketing your business at a shopping mall, these ad-stands can be a fabulous way of getting your message across. The best part about these is that they are an affordable way of promoting your business as compared to print and electronic media. What Are the Benefits of Using Inflatable Advertising Materials? Custom branded inflatable advertising is important for making people aware of your products/services and generating leads. Rev up your brand with our cutting-edge advertising inflatables! When it comes to promoting products and reflecting the brand image of a business, personalized advertising inflatables are distinct outdoor advertising methods that help you attract instant attention, gain higher visibility, increase footfall, and enliven your brand image. A retractable banner display is one of the most inexpensive, yet popular ways of getting your business' message across to your target customers. They are eye-catching, affordable and easy to use. It takes about a minute to assemble a retractable banner and the same time to disassemble it. These look like the screens of film projectors. 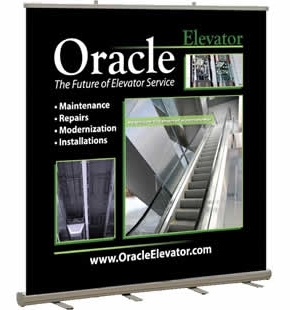 Retractable banners are often called roll-up banners as that is what they do. They have recoil mechanism that allows the advertisement to roll back to its case without any ado. This case helps protect the banner against any type of harm during transportation. All that you are required to do is reach the advertising venue, roll up the advertisement and hook it onto a stand. These kind of ads manage to grab the greatest attention, irrespective of where they are placed. Trade shows are great platforms for showing off your product to visitors and potential consumers. It is an opportunity to showcase your products or services to dignitaries and industry leaders. Trade show advertising is thus aimed at increasing market visibility and reaching out to prospective buyers simultaneously. For this reason, a trade show is always attended by leading industrialists, business houses, bureaucrats, accomplished professionals, and general visitors. Participation is often of the highest standards and even involve global companies. A custom banner stand is considered to be one of the most effective forms of advertisement today. 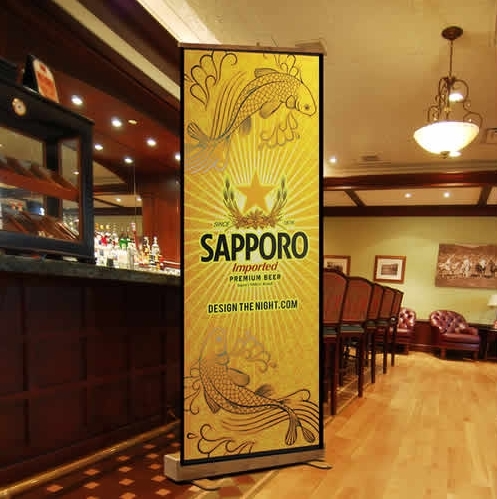 Banner stands are commonly found in trade shows, exhibitions and displays. You can choose your banner stands depending on the location you want to place them and convey what you want to your target consumers.